My absolute obsession is spicy noodles and if you've been on social media lately you'll see the noodles that have taken the world by storm! Biang Biang noodles are thick noodles that could double as a belt. It is said that one biang biang noodle can fill an entire rice bowl (and it's true!). Learn how to make these surprisingly easy noodles - I promise, you'll be as stunned as I was as to how fun and tasty they are! I once tried hand pulling noodles. It was nothing short of a dismal failure. We could still eat them but there were no long, silky strands, just tiny little pieces of noodle. But I promise that if you hold my hand Dear Reader and follow these instructions, you'll soon be doing your own Biang Biang pull with a batch of your home made noodles. First, a little history of these noodles. Some say the word "biang" comes from the sound the dough makes when it hits the counter while others suggest it's from the noise made when chewing these thick, delicious noodles. The Chinese character for these noodles is one of the most complex kanjis with 58 strokes. 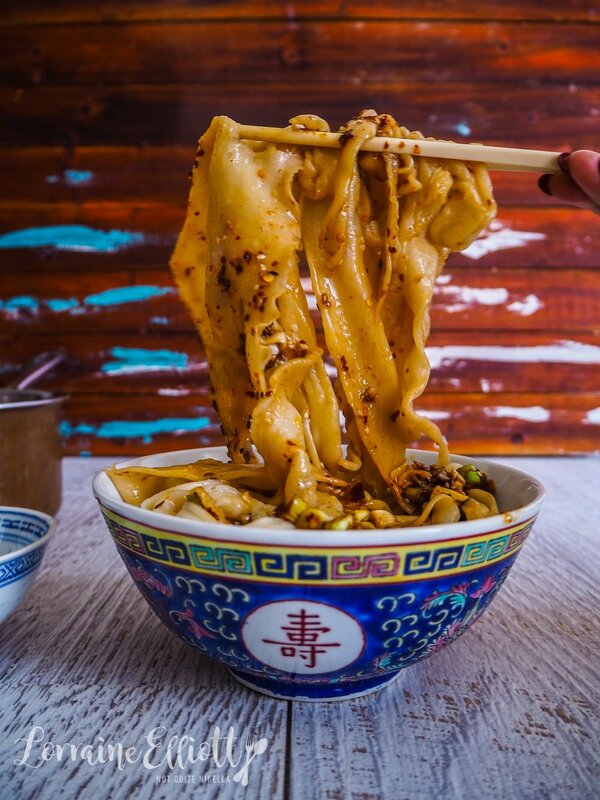 Biang biang noodles originate in the Shanxii province of central China, specifically Xi’an, a lesser known Chinese cuisine than say Cantonese or Sichuan but no less delicious. Xi’an is located at the terminus of the Silk Route and has its own cuisine borne of a combination of influences particularly Islamic. These noodles are a peasant food as they're economical to make and they are filling. The North of China tends to have less rice than the South due to the climate differences as rice needs a lot of water to grow. In the North there are more grains grown like wheat, millet and sorghum. 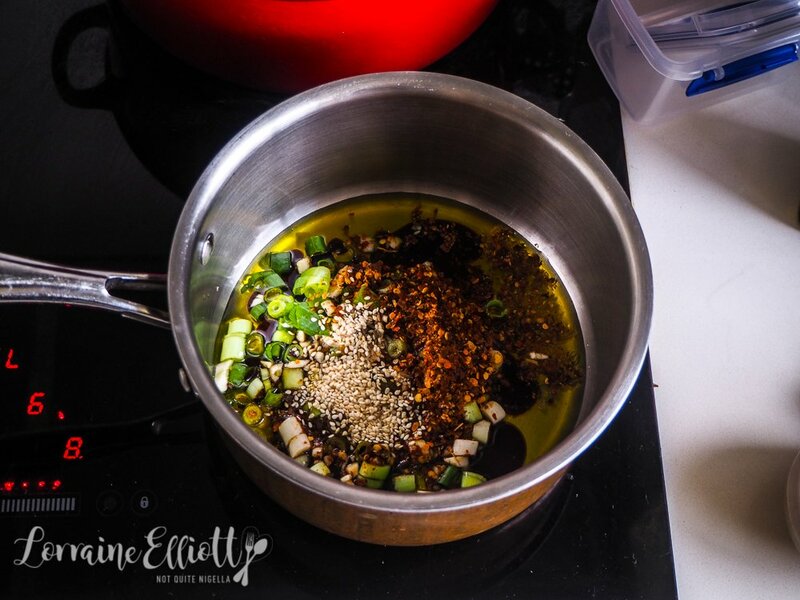 There's nothing fancy in these noodles and the sauce is usually a simple one made with chilli flakes, oil, garlic and shallots. These are vegan but don't taste it because they are just so full of flavour. 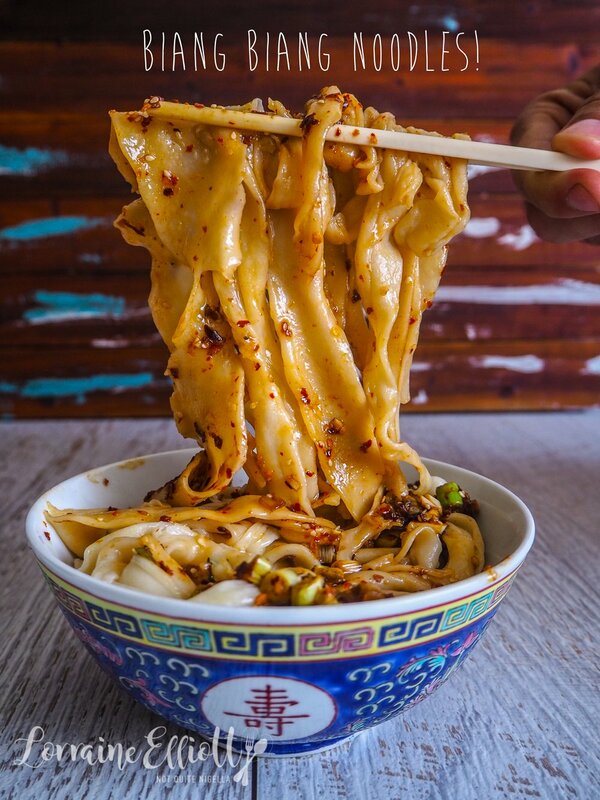 The noodles are thick, chewy and enormously satisfying and highly addictive. They vary somewhat, some with smooth edges, some jagged like a fancy ribbon. Once you've made a batch you'll see exactly why they vary from noodle to noodle. The stretching process is fascinating but quite easy - the only caveat is that these are pulled just before cooking. I've been known to jump in the car and take the drive to Burwood to get my fix at times but now that I know how easy it is to make with all pantry ingredients, that drive will now be taken a lot less often. I thought that with Chinese new year coming up on February 5th that this would be a fitting item to try. 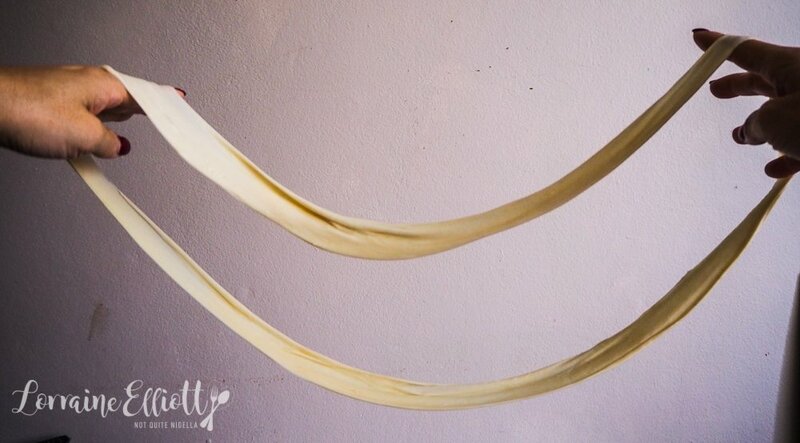 Noodles are always good luck in any new year's celebration-the length of noodles suggests a long life and with biang noodles measuring up to 2 metres in length, what could be luckier? Honestly the trickiest thing is writing that kanji (I gave up after a few strokes). I am afraid my talent only extends to eating and not to languages. When I was around 12 years old and my sister was 11, my parents enrolled us in a weekend Chinese school so we would learn how to speak and write Chinese. Our teacher was pretty terrible and I actually wondered if anyone learned much with her. With a shiny round face, lots of pale foundation and transition lenses she was a bit of a viper too doling out criticism in the way that only a tiger mum could. So tell me Dear Reader, did you ever do an outside school or class to learn another language? Can you speak any other languages? Have you ever tried these biang biang noodles? Do you have a favourite noodle type? Step 1 - Mix the flour, water and salt together until shaggy in texture. Knead until smooth and elastic (5 minutes in a mixer with a dough hook). Shape into a round and cut into 8 even pieces. Shape them into a small cucumber shape and coat in oil. 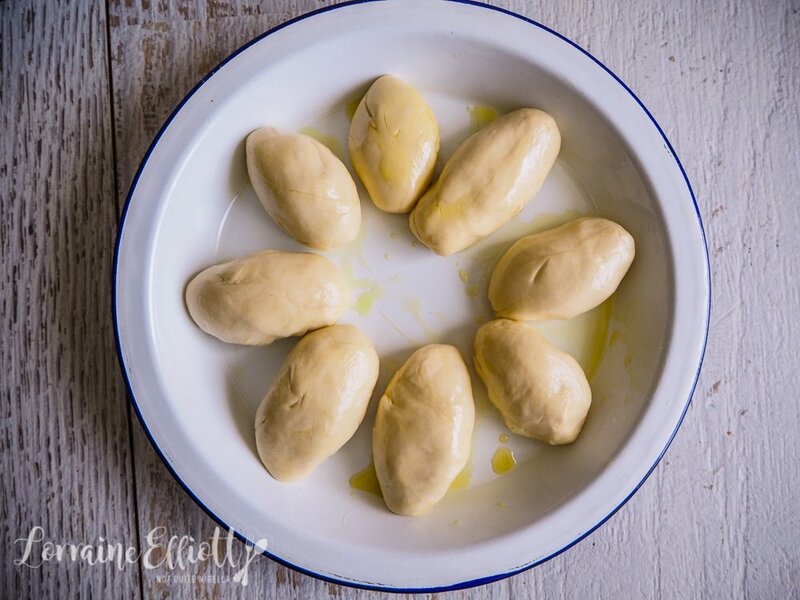 Cover and rest at room temperature for 3 hours (to allow the dough to relax). Step 2 - Put on a large pot of water on to boil. Step 3 - Make the sauce-just add all ingredients in a small saucepan and heat for through until pork is cooked. If you're not using pork just heat for a minute. If you are using pork cook it until the pork is cooked through. Keep the lid on to keep it warm. 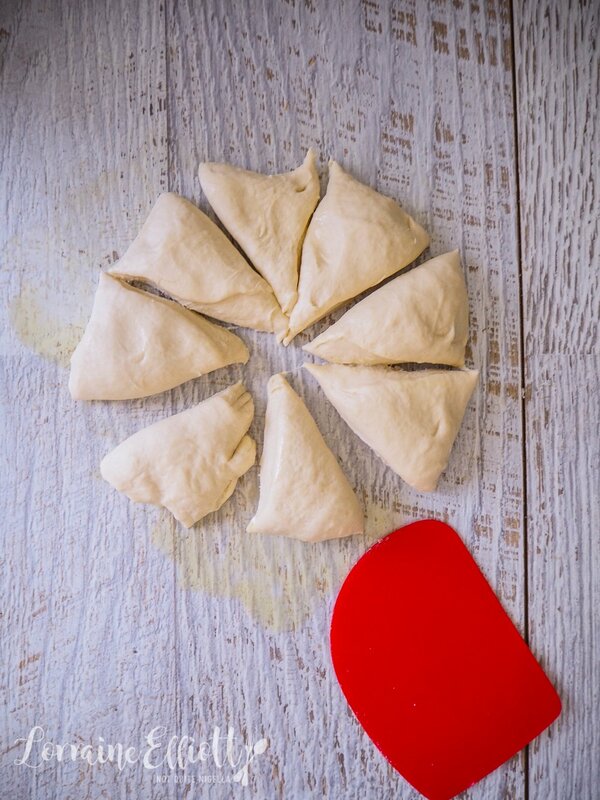 Step 4 - Roll out all the pieces of dough on a lightly greased surface using a small greased rolling pin. You want each piece to be around 2.5-3 inches wide and a bit longer than the rolling pin. 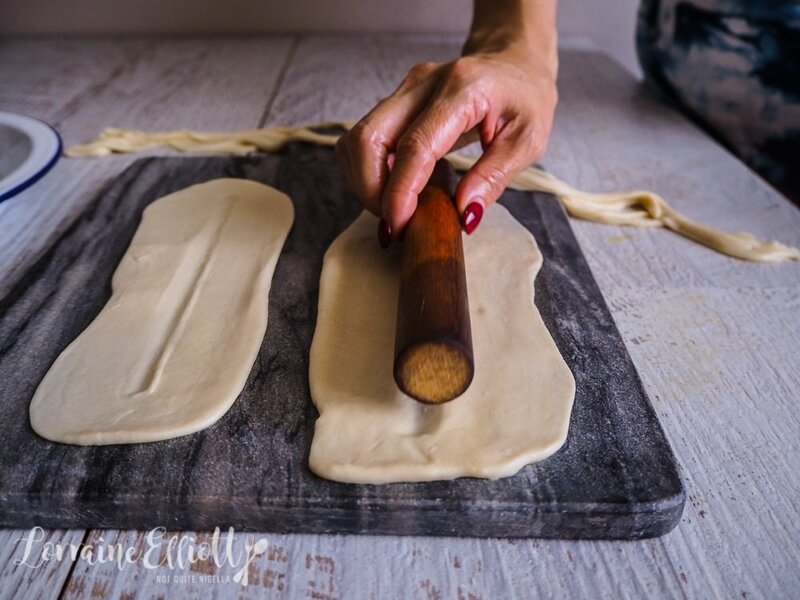 Firmly press the rolling pin against the centre vertically leaving a depression (see above). Step 5 - Oil your hands lightly and then gently pull it apart using the depression as a opening. It will stretch open with little prompting. Stretch it out so that it is thin, like a ribbon and a very, very long belt. Place directly into the water and cook for 1 minute or until it rises to the surface. Place in a bowl (this is enough for two bowls) and then when all the noodles are cooked, pour the hot chilli oil over it. recipeAmazing "Pulled Pork" Jackfruit Vegan Nachos! recipePyjama Party Chicken Or Vegan Pot Pie! recipeAsh Reshteh or Persian Lentil & Noodle Soup! recipe Amazing "Pulled Pork" Jackfruit Vegan Nachos! recipe Pyjama Party Chicken Or Vegan Pot Pie! recipe Ash Reshteh or Persian Lentil & Noodle Soup!